Our house comes with 39 modern, comfortable rooms (novelties), a nice breakfast room as well as a conference room (capacity up to 20 people). All rooms – including a room Disabled friendly come with shower or a bath, toilet (renovated 2005/2006), direct dialling (fax modem + DSL internet possible, radio, alarm and colour TV (satellite). Furthermore you are able to use the hotel owned subterranean garage. For Meetings we allocate you our conference room. It offers space for up to 20 people. If desired, we take care of the technical arrangements (for example an overhead projector). Hamburg’s tourists appreciate the familiar atmosphere in the quiet and central located hotel, which is just 2 minutes walk away from the train station, where there are many restaurants close by and where it’s just 5 minutes to the Elbe. Please notice how many possibilities there are to partake in, such as: Visiting the theatre in Hamburg, going to the cinema, musicals, concerts, round trips through Hamburg harbour and the fish market! 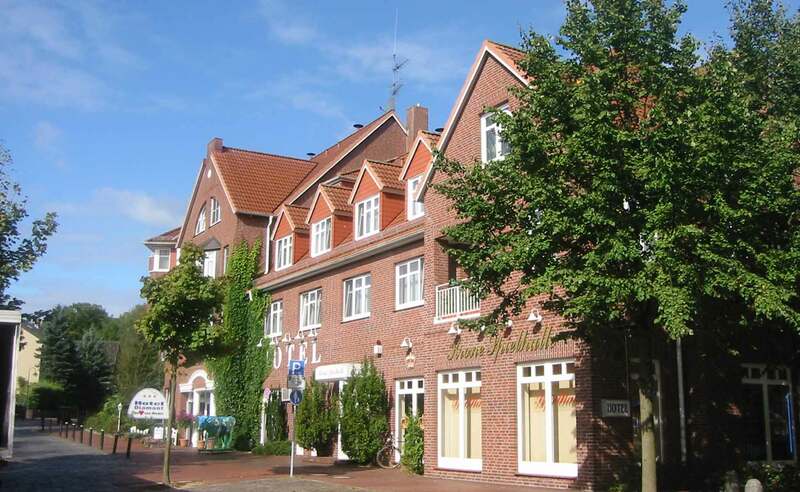 Directly around our hotel you can go for a walk at the Elbe and Wedel’s Marsch, there is golfing, tennis, biking (hiring for free* -after making an announcement previously-), riding, or going to the swimming pool close by. We are happy to have you as our guest.